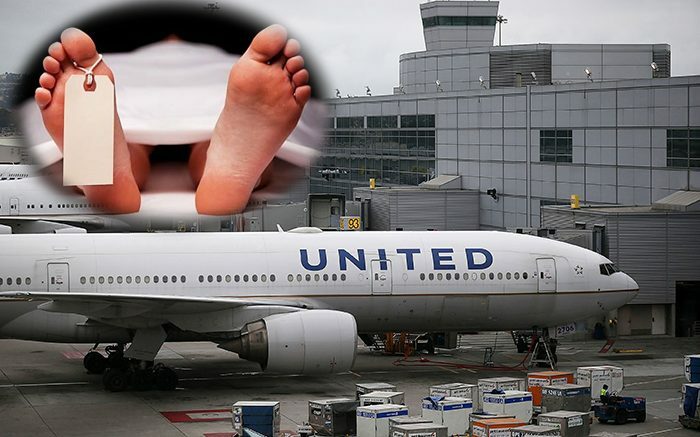 Among the continuing saga of cursed events, United Airlines is under fire again after an unimaginable discovery was made today on a flight from Miami International Airport to JFK International Airport. Three dead bodies, which were on their way to 3 separate funerals in the Florida area, were confiscated today after drug sniffing dogs alerted TSA of a potential drug presence. Upon inspection, the bodies were found to contain over 200 pounds of cocaine with an estimated street value of $18 million. The bodies, whose identity has not been released to the public, were said to be homeless men between the ages of 40 – 50. Authorities are trying to figure out who was responsible for the retrieval of the bodies that were to be delivered to a nearby funeral home.